How long is the 20-hour pre-license course completion valid? Answer: The 20-hour course once completed successfully does not expire. The National test, however, does expire. Refer to the following information taken from the NMLS website: 11.1 Test Expiration Section 1505(d) of the S.A.F.E. Mortgage Licensing Act states, ““…[a] state licensed loan originator who fails to maintain a valid license for a period of 5 years or longer shall retake the test, not taking into account any time during which such individual is a registered loan originator.” Therefore, if mortgage loan originators leave the mortgage industry, or pass any component of the SAFE MLO Test but don’t obtain a license or active federal registration, for a period of five consecutive years, their previously passed test results will expire, and they will be required to retest in order to obtain licensure. For more information, please refer to the Test Expiration Policy document and FAQ on the NMLS Resource Center. NOTE: Some states may require that an MLO retake the 20-hour course in order to obtain an MLO license from that particular state if it has been a numbers of years since first completing the course for licensure. Individual state requirements will vary. How long do I have after successfully completing the pre-license course to take the National Exam? Answer: When an applicant completes the MU-4 form and pays the fees that triggers a 180-day clock for taking the National Exam. If the exam is not completed within that time frame then the applicant must re-open that particular window with NMLS and pay another $110. This starts another 180-day clock. Simply opening an account through the NMLS website in order to obtain a unique identification number does not trigger any time frames nor require any payment of funds. 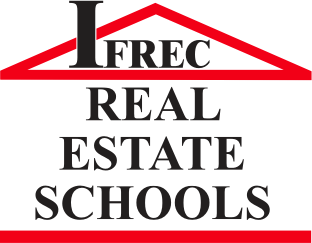 How do real estate schools differ? Answer - Reputation, length of time in the business, number of locations, choice of classroom and online options, varied schedules for days, mornings, nights and weekends, size of faculty. What services can I perform with a real estate license? Answer - Real estate services include any real estate activity involving compensation for performing the service for another. What are the hiring opportunities? Answer - Limitless – once again, only you can determine how much value you have as a licensee. You will get lots of offers but you should interview with only those firms who can help you succeed with your goals. If you are dedicated and disciplined, follow the rules and earn the trust of your clients, you will enjoy the success you dreamed of. How old do I have to be to take the Florida real estate licensing course? Answer - In Florida, you can be any age but you cannot apply to take the state exam until you are 18 years of age. Do I need a Social Security number to apply for a Florida real estate license? Answer - A Social Security number is required to apply for a real estate license. In the Full Legal Name section of the license application, applicants must enter their name as it appears on their Social Security card. Florida law requires that an applicant’s Social Security number be disclosed on all professional license applications. The Social Security number is used to determine whether applicants are in compliance with child support obligations. I need financial assistance. Does IFREC offer it?  Answer - You can visit the IFREC web site for special discounts, sales and scholarship options. IFREC also offers time payment plans. What is the difference between a sales associate and a broker? Answer - A Sales Associate is a person who performs real estate services for compensation but who does so under the direction, control, or management of a broker or an owner-developer. A Broker is a person who, for another and for compensation or other consideration (or anticipation of compensation or other consideration), performs real estate services. How soon can I begin to practice real estate after I finish my course? Answer – at the state exam site, you will be given your pass or fail result which you will receive in an email. If you have passed and hang your license with a broker, you are ready to begin. Will Florida recognize my license from another state? Answer - If you have had an active license in another state for 24-month out of the previous 5 years, you can use that experience to bypass the Florida Sales Associate License and choose to go right to obtaining a Florida Broker License. Answer - Department of Business and Professional Regulation acronym. For more information visit myfloridalicense.com/dbpr. Answer - Florida Real Estate Commission. For more information visit http://www.myfloridalicense.com/dbpr/re/frec.html. If I have had an arrest in the past but have fulfilled all of the requirements or made restitution, do I have to state this on my application? Answer – You must disclose all information on your application. Depending on the length of time since the occurrence and the nature of the offense, it may not affect the application process. The more information you provide, the less chance of rejection of your application. If you have been convicted, found guilty or plead nolo contender to any crime, regardless of adjudication, it will be discovered in the background check and failure to disclose it up front may result in a denial of your application. You can attach a full disclosure including the outcome of any arrest to your application. Better to be safe than sorry. If I was educated in another country which does not have a diploma or GED, how do I handle that question on the application? Answer – provide the comparable level of education or certification with copies of the institution’s certification satisfaction of their requirements. You may be called upon to provide further proof if you do not include these details on your application. How long is the real estate license application valid once submitted? Answer - A real estate license application is valid for two years from the date the complete application is received by the DBPR. The application expires two years after it is received by the DBPR. Where can I get my electronic fingerprints done? Answer - At the IFREC corporate office on Edgewater Drive in Orlando or any other approved agency site. How much time can I miss of my real estate course? Answer – 10%. If you miss more, you must make the time up before your class end date. What happens if I fail the real estate pre-license end of course exam? Answer - You can review your exam within 14 days. You then have 2 options: you may wait 30 days and take an alternate exam for an additional fee OR you may choose to repeat the entire course immediately for an additional fee. What happens if I fail the real estate state exam? Answer - You can schedule to take it again and pay the testing fee. You have 2 years from the date of successful course completion to pass your state exam. What happens when you do not complete the 45-hour post license education requirement for sales associate in the first renewal period? Answer – the license becomes null and void. You need to retake the course, end of course exam and state exam. What are the continuing education requirements for an active broker or sales associate after their first renewal period? Answer – 14 hours of Commission approved instruction, every two years, in the classroom, on line, or by correspondence. Commission prescribed Core Law must be included. When brokers fail to complete the 60-hour post license education requirement in their first renewal period, what happens? Answer – they become null and void and broker has 6 months to request issuance of a sales associate license. What are “voluntary” and “involuntary” inactive license status? Answer – When a license is not renewed at the end of the license period, it is involuntary inactive. If voluntary inactive for more than 2 years, it automatically expires and becomes null and void. If a licensee applies to the Department to be placed on inactive status and has paid a fee, competed their CE, that is voluntary inactive. Why join a REALTOR Association? Answer - Buyers and sellers today are self–educated. They understand the value of professionalism and as a Realtor, you are a respected member of one of the largest, most prestigious trade organizations. How do I budget my monies to be successful? Answer - If you are going into general residential or commercial real estate, you should have 6 months of reserves as your commissions may not be immediate. If you choose property management, timeshare sales or act as an assistant, you may realize immediate income. Got A Question for Bill? Send an Email! For a HVAC condenser disconnect is a smaller wire gauge allowed for the unit? Yes, if the unit has a rating on the data plate that includes a minimum and maximum amperage the unit may be wired to the minimum amp requirement. When performing a wind mit inspection for determining roof shape, do you measure all of the perimeter of all roofs attached to the house? There is no defined answer for this in the industry or from the OIR. Some inspectors only measure the lowest roof perimeter while others measure the high and low roof perimeter for a 1.5 story residence. Yes, measure all the roof(s) perimeters if they are part of the main roof structure. In other words, if you were to take the roof covering off could you see into the main roof attic. I came across a roof with 2 layers of asphalt shingles and it was sagging near the rake. Would I note the 2 layers on my report? Yes sir, I mentioned that we should list the two layers and let the client know it will cost MORE when the roof IS replaced as the contractor will replace more decking from so many nails and there will be more cost associated with removing the 2 layers. Being fair to the seller, if the existing covering is in "like new" condition I would indicate that also. But if near the end of its useful like I'm informing my client to make the best deal now as you only get one shot.